The unmistakable sound of someone being sick in a toilet. It’s not the most attractive sound, but one which sensible late night disc jockeys at Nottingham’s Radio Trent claimed to hear in the depths of night, when alone in the station’s 1794 building. That was just one of the odd things reported from this former women’s hospital, which had clearly witnessed its fair share of deaths in its early period. Others reported a ghost wearing a hat frequently gliding through the main studio; and an old woman wobbling a table. Maybe not too surprising when one remembers the subterranean studios were once the hospital’s mortuary. Castle Gate, the home of the UK’s13th ILR station, was not the only set of premises which was said to house an extra ghostly freelancer. Back in the early days of commercial radio, it was almost mandatory to find a building with a rich past, regardless, it seems, of how unsuitable it was for a fast-moving media business. Wiltshire Radio, later to become the lead player in GWR, was housed in a 17th Century house. The first MD’s PA reported a pipe-smoking chap appearing in the Lime Kiln studios complex, only to be heard falling, leaving behind just that unmistakable smell of pipe smoke. On another occasion, it’s reported that the plug to an electric typewriter was pulled out its socket, held aloft, before being replaced. I also gather in later years that a ghost was said to turn on the TV to adult channels late at night. Were they not the days, though, when stations had uniformed security guards sat there alone in the wee small hours? 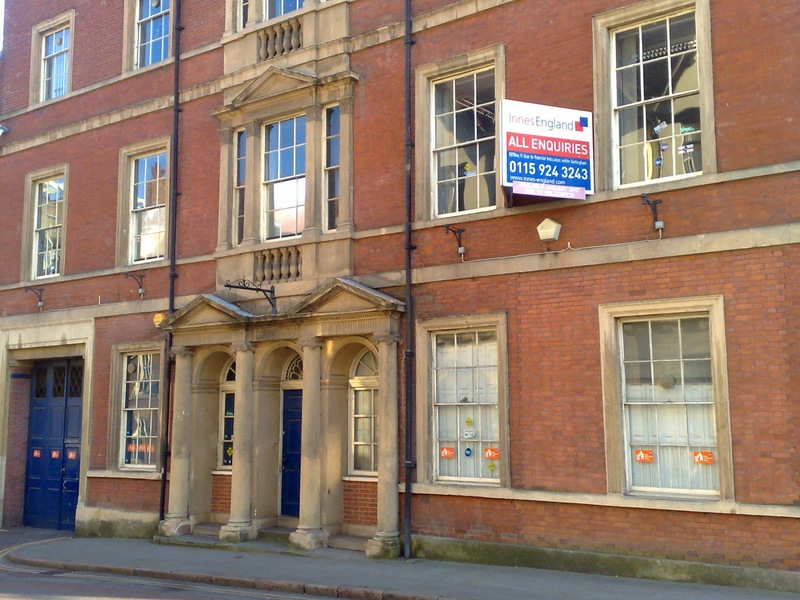 Beacon Radio’s original premises on Tettenhall Road in Wolverhampton had been a roomy orphanage, and again the home of some considerable teary bairns through the years. One spooky room was said to house the ghost of a poor baby who passed into the spirit world back in the 19th Century. Little wonder paranormal investigators would routinely ask to spend some time in that building; and it was to be featured in 'Most Haunted'. Surely something spooky happened in the 1876 ecclesiastic Leicester Sound building next to beautiful Victoria Park? Indeed. In this Downton Abbey house, I gather someone hanged themselves on the stairs, in its life before radio. Gazing at the stained glass windows on the first landing, in the light of the 40W bulbs, it’s easy to imagine. Upstairs on the top floor, in what was believed to be the nursery, poor little mites, stricken by the many illnesses of a century past were said to live on; sat, no doubt, on a pile of paper ad logs and playing with the daisy wheel printer. I take no delight in announcing the demolition of old West Canal Wharf building from where the ill-fated CBC (later Red Dragon/Capital) was launched. Even though launch PD, Dan Damon, did say he’d get back to me about a job I’d applied for in 1980. Still waiting. That old place is said to have had its fair share of apparitions. Maybe they set fire to my rejection letter before despatch. Let's not forget good old Red Rose radio (now Rock) where hardened journalists would fear the late shift. Booooooooh. And BBC Radio Lincolnshire's home to this day, the former Radion cinema on the edge of the historic quarter, which is said to house a lone usherette to this day, serving lukewarm Kia-Ora orange juice to enthusiastic BAs. It's not just here in the UK. These things appear to happen around the world. I gather a station in Jasper, Alabama also claims its own resident ghost. Like Trent, it uses the loo. But let’s not worry unduly, though, about WDIE, where every single breakfast host died within three years of being given the peak show. Given there is no definitive book on radio ghosts, I am certain this list is not exhaustive. Do feel free to add your own. News bulletins have adopted much the same production recipe since 1922. Whether the 6.00 immaculately-presented nightly feast on BBC Radio 4 or the hourly juicy snack on much commercial radio, maybe smothered with a funky bed. 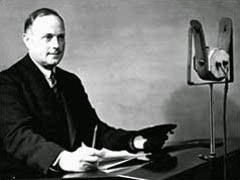 Arthur Burrows, who delivered the first ever newscasts on a dark November evening in 1922, would likely recognise the bulletin formula were he still around and taking any interest in such things. In essence, every hour, to this day, a bundle of successive scripts are toasted and served, seasoned sometimes with reports from gifted colleagues or a dash of illustrative audio. The newsreader duly reads out the contents of the 'newspaper' before a colleague returns to put on a gramophone record. Had dear Arthur wandered off in a strop that night and the news bulletin had never been born at that time in that way, would we be doing news now like we do? In the halcyon days of this wonderful medium of ours, families gathered round their Bakelite sets, bathed in the warm light of their standard lamps, to eavesdrop in wonder on the World. Apart from the odd World War and too many incurable diseases, there was little else to distract. Radio was a spectator sport. Programmes and programme items were appointments to listen. Listeners joined them at the start and likely sat through respectfully to the end. Now, we know listeners dip in and out of the majority of programming. Journalists agonise over the identification of the lead story. They even argue amongst themselves, which is tremendous fun to watch. The listener may well have a different view altogether of what's important to them. Some may have missed the start of the bulletin, in any case. Radio bulletins do not have a front page. We know too, from much research, how listeners zone in and out of radio even when they are 'listening'. The mind is cleverly able to filter out what is relevant and what is not, so they may not even 'hear' the lead story. At the very moment the reader thunders in with the voice of authority over the crashing cymbals of the news jingle, the listener may well be mulling over their imminent hot week in Majorca. When the story about airport disruption is pumped out as story four, that's when the listener hears their lead. And, if you do believe in 'the lead', is it not a puzzling objective to make the content of a bulletin deliberately less interesting as it proceeds? 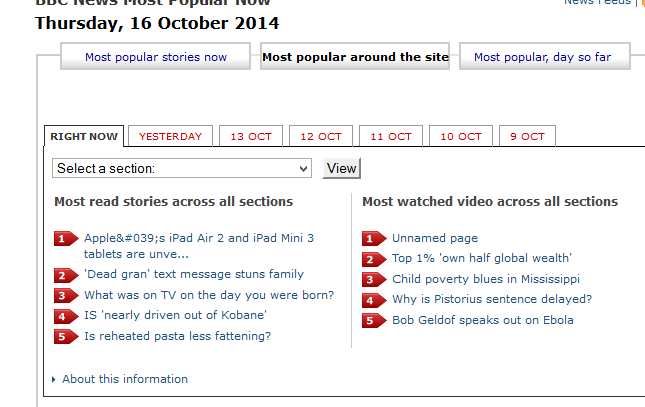 Since when has the BBC's 'most viewed online' story list corresponded with the order of any BBC news bulletin? What of this 'on the hour' business'? Radio was once first. Its content was a day ahead of the local Chronicle and likely some considerable way ahead of the heavy TV cameras trundling out to see what's happening. Now, those who like to keep up to date glance at their Twitter feeds to see the latest, and their friends become their personal news editors, sharing the stories they feel are important. Such content is 'broadcast' and received within seconds. Your friends, and indeed news organisations, do not sit drumming their fingers on the desk until some arbitrary time to despatch a social media update. Why do we afford our social media audience the luxury of priority service, when we make our loyal radio listeners sit and bloody wait for the next bulletin? insert a news story. Whilst radio is better than Twitter at bringing home the emotion, background, voices and analysis in a useful way, for many people, social media like Twitter has broken the story. Why do we hold up the news to broadcast it on the hour? Audiences are larger on the hour, surely. Rajar indeed suggests that the first quarter hour is more heavily consumed. Most sensible people would likely agree, however, that this says more about the way radio is measured in the UK than how it is consumed. In markets around the World where radio is monitored by meters, there's a rather different conclusion. People are just as likely to listen to each of the four quarter hours. They are as likely to have missed your bulletin as heard it. Listeners value news hugely. They tell us so in every focus group I've ever attended. So, when that news jingle chimes, one imagines that attention levels soar. As the Jam or Wise Buddah singers chorus the station's name, surely listeners say to themselves: 'hey, come on, something important's happening'. No, suggests Peter Niegel, who troubled to analyse audiences to a station called P3, a service from one of Denmark's national public service broadcasters, which used PPM (metering) research. He observed that, whilst listeners insisted they valued the news, “there was a big difference between perceived listening and actual listening”. When they studied actual behaviour, they noticed listeners tuning out when the jingle came on: "The top of the hour is a natural switch-off moment because it’s an appointment time.." "Every time we ran the news jingle, people would say: oh my God, it’s eight o’clock, I have to go!”. Pavlov understood about conditioned reflexes. Whilst we hope the reflex is to listen attentively when the news jingle airs, are we sure the contrary does not occur? When a major news event occurs, it's likely listeners do find it useful to know when they can find out more? Does that suggest a wise policy of news detail on the hour in exactly those circumstances? Radio is great at many, many things. It's probably not so hot on lists of detail. I challenge anyone to listen to the twelve inch version of the weather forecast and then tell me whether I'm going to need my coat tomorrow. So, why do we assemble the most demanding content and broadcast it all at once. Given most of us can barely remember a large round of drinks, how many stories are safely recalled half an hour later by the average busy listener? Ironically, it might be suggested that story memorability from the longer news programmes, where time is taken to paint the pictures at which radio excels, is likely much higher. Had the tradition of hourly newscasts on all formats never begun, would we not do it in bitesize chunks on many of them.? I recall one foreign visitor asking me why our news bulletins are always the same length. 'What if there's not much happening? ', they queried. Of course I told him how silly he was being, but between you and me, he had a point. We recall with a smile that tale of the Good Friday bulletin in 1930 where it is suggested the BBC declared that there was no news and treated us instead to some piano music. Regulators used to have a fetish about bulletin lengths. The difference between a 2' bully and a 4' one could have amounted to the deciding factor about whether your company won the licence to broadcast or not. Long was good. Longer was very good. What's more important, the news or the weather? What is the most significant to listeners' lives really, in the long run? On most music stations, one hears the weather, rightly, repeated over and over again on the hour. The news, often bearing matters of life or death, is confined to its half hourly island. 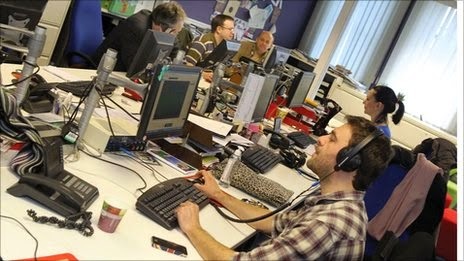 A twenty minute breakfast listener, and there are many of them, will presume you don't actually have a newsroom. Owing to the very nature of this 'performance piece' on the hour, it is usually presented by someone different from the programme hosts. The general presenters are, therefore, less likely to notice and alight on the importance of a story. Were they charged with delivering the titbits as they happened, like a friend tugging at your sleeve saying 'hey, look at this', they'd likely repeat some stories many, many times in the hour, on merit. 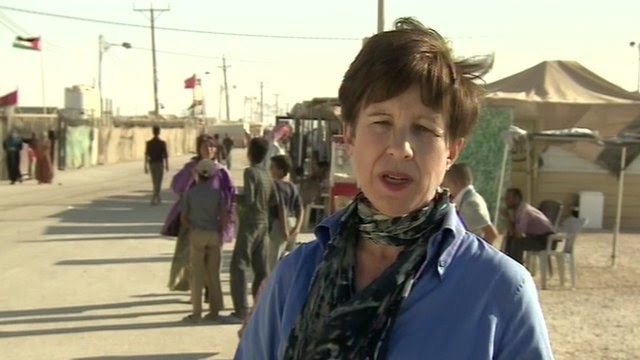 When a despatch on a crucial story is available from a reporter in the field, you can guarantee too it would be readily trailed if the presenters 'owned' the news. Given the role of the journalist and that of the newsreader demand such different skillsets, maybe such a strategy could, accordingly, free journalists to go do journalism. Has the time come to take a fresh look at this thing we call the news bulletin? We know news content is hugely valuable currency. What on earth should we do with it on radio in our much-changed world? Should our news coverage take its inspiration from social media in frequency and format, rather than the newspaper?